Microsoft's Build 2017 conference, was probably the most forward-looking and paradigm-shifting such event to come along in years. 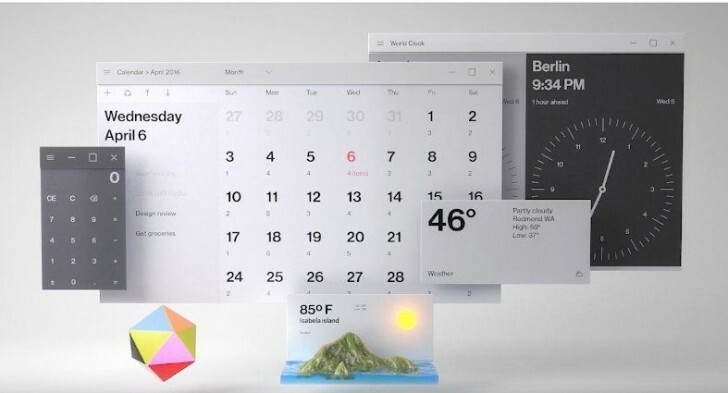 The Redmond giant used the venue to introduce a whole new visual identity to replace Metro, called Fluent Design. It also made important steps to unify and refocus its AR and VR efforts under a more unified banner and strategic plan. Additionally, it offered a glimpse into the next Windows 10 Creator's update, coming this Fall. But, the thing that really caught our attention on a grander scale is a fresh new Microsoft mindset, probably best encompassed by the "Windows PCs Love All Your Devices" slogan. This one sentence could potentially guide Microsoft's role in the mobile tech future as a whole. To put it simple, it really sounds like Microsoft has learned from its past mishaps as a proprietary player on the smartphone market. Instead of battling it out with the likes of Android and iOS, the new plan seems to be to position the Windows experience at the center of the future digital lifestyle. In society people are using tons of devices and as yet there's not a way to orchestrate what you do across them. It's unorganized … For us what the vision is being human-centered. You're a person that does different activities and you're going to choose different devices from different companies so we're going to make sense of that for you. But besides lofty ideas, Microsoft also has new feature announcements to back them up. It is introducing new Timeline and Cortana versions that let you resume apps exactly where you left off on other Windows 10 devices. In addition, the online Graph service will start acting like a gateway for developers to achieve the same level of integration in their apps across Android and iOS devices as well. Another interesting part of this seamless integration is a new connected clipboard feature. 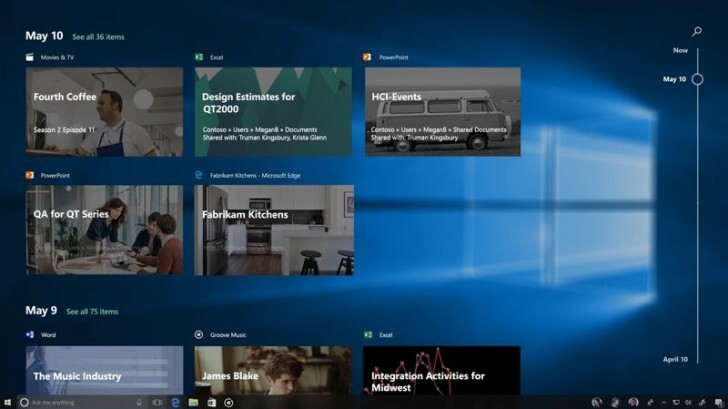 It will allows Windows 10 users to copy content on the PC and then paste in on their smartphone. Microsoft is making this possible through its recent SwiftKey acquisition. So, be on the lookout for an update for the popular mobile keyboard with the feature soon. Still, all this doesn't necessarily mean Microsoft is throwing its gloves in on the mobile front altogether. On the contrary. Build 2017 also featured a demo of an early Windows 10 build for ARM chipsets, seamlessly running x86 Win32 applications. Microsoft also promised there is no trickery involved - no virtual machines, no UWP recompiling and repackaging. Just a powerful compatibility layer, translating instructions real-time and even caching some of them for improved performance over time. Naturally, the product implications of this project could be tremendous. If Redmond plays its cards right, the next wave of affordable, battery-efficient, lightweight and passively cooled ARM-based devices, like tablets and even phones could actually be running a full-featured desktop Windows OS. It's an exciting thought, to say the least. Really? It's Google that spying on us and sell information to ads provider. MS sells paid softwares whereas Google sells its software for "free".